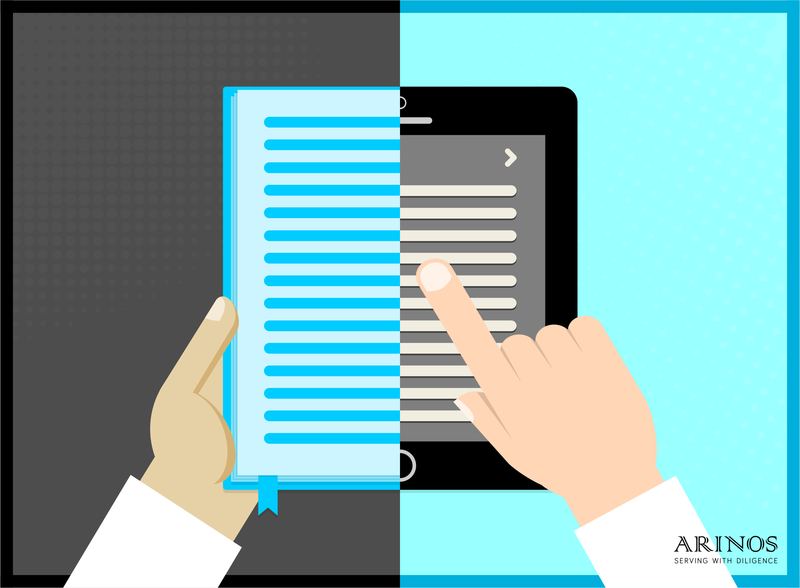 The new age dilemma or the millennium question that a publisher or a reader faces today – Books or eBooks? Paper or Screen? Let’s find out. There are many benefits associated with e-books for individual readers as well as businesses. The way people read today has changed over time and with the technological advancements that have happened over the years. The introduction of new e-book readers has boosted the sale of eBooks more than that of hard copy books. What about the perception of people while reading using a different medium? Surely there has to be some difference. While conducting a study during the year 2013, researchers tested the reading patterns of grade ten students who read using hard copy books and those who read eBooks. It was found that students who studied using the hardcopy books scored better than the ones who read using eBooks. However, there are also arguments that support eBooks as well. Therefore, one cannot arrive at a consensus on which one is better. The fancy options such as backlight and font size adjustments are sure an advantage to readers. However, the same could turn out to be a bad thing as they can result in computer vision syndrome. Unless people follow precautions such as blinking in-between, taking breaks and following up with periodic eye checkups, this drawback cannot be overcome. Another reason is that while reading a hardcopy book, it is easier to flip through the pages and go back to re-read something you read a little earlier. While using an eBook, this might not be an easy task as you have to manually flip through each page and find out where the content you want to read is located. If you change the font in-between, this can be difficult since the location changes rapidly as well. When you purchase an eBook, they are available for download instantly, and you can start reading immediately. There is no need to walk into a bookstore to buy them. You can buy them online and they are available for reading immediately. If you order online, hard-copy might take a long time to arrive at your doorstep whereas eBooks are available instantly. You do your bit to save the environment as there is no need to cut down the trees for making these books. There is no reason to wait for the bookstore to be open as eBooks can be bought at any time of the day as long as you have an internet connection. eBooks also give you bonus pages or introduction to the next book in the series at the end of the book. This might not be available with the hard copy version of the book. The most important of all the advantages is that eBooks take up less space. Carrying hard copy book while traveling may be difficult. Whereas a Kindle can store as many books as you want in a single device. eBooks also have links and references to some relevant items which might not be possible with hard copy books. They can show extra details and come with an embedded dictionary in case you need to refer some complex words. They can also have other formats such as videos and audios embedded in them. A printable version of the book makes it accessible. As human nature, it takes a while for us to get used to any new technologies. The eBooks scene is no different. Although initially, people did not warm up to the idea of reading on screens, they are slowly becoming accustomed to it. It is beneficial considering the loads of possibilities with eBooks. It does not mean we let go of the hard copy books completely. One must accept that the digital version is going to rule but not until old avid readers keep buying hard copy books for various reasons they have. Do not worry if you are a hard copy reader. It’s not over yet. If you are already into digital reading, explore the possibilities.